The Basketball Spotlight Future Phenom Camp is in the books. The top talent in the country brought their game to District Heights, MD and we have tons of coverage to release. Here is Part 3 of our Class 2021 report. The Basketball Spotlight Future Phenom Camp is in the books. The top talent in the country brought their game to District Heights, MD and we have tons of coverage to release. Here is Part 2 of our Class 2021 report. Tonight the top middle school ballers in the nation will take the court for the Middle School All American Games. 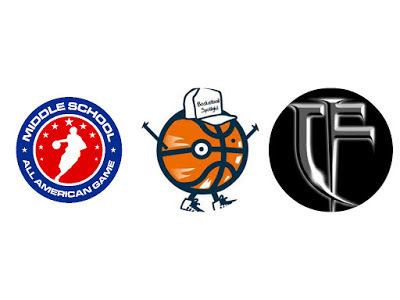 The Middle School All-American Games, modeled after the McDonalds All-American Game features both top local and national talent in the classes of 2021, 2022, and 2023. This is the only event in the world where top-ranked middle school basketball players collectively play in a national All-Star game. 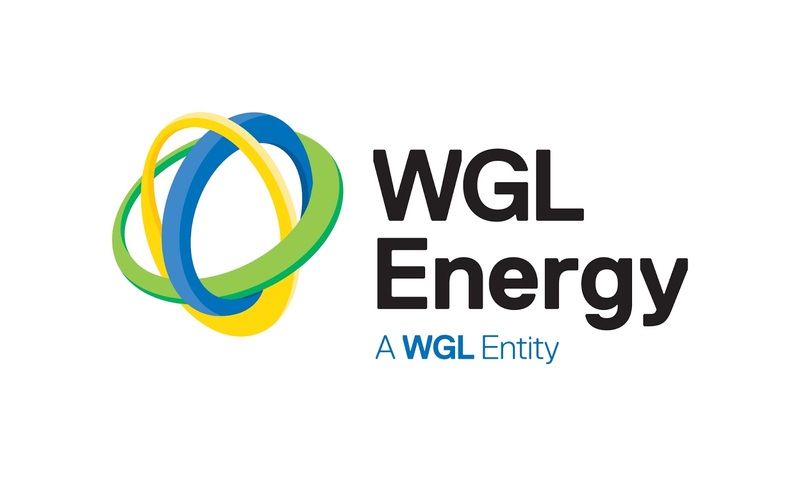 Participants were selected via votes by a national panel of scouts and media representatives, who have extensively covered middle school hoops on the grassroots level throughout the spring and summer. Some noted players scheduled to participate, are local up and coming stars Ryan Conway and 6'7 Detwan Montegu as well as national studs and Montverde bound 6'8 Trey Patterson (NJ),Texas' # 1 rated player 6'7 Duncan Powell, and the #1 rated center in the county 6'9 Caleb Furst. Emoni Bates 6'4 (MI) and Bryce Griggs (Tx) #1 rated player in his state, from the class of 2022. 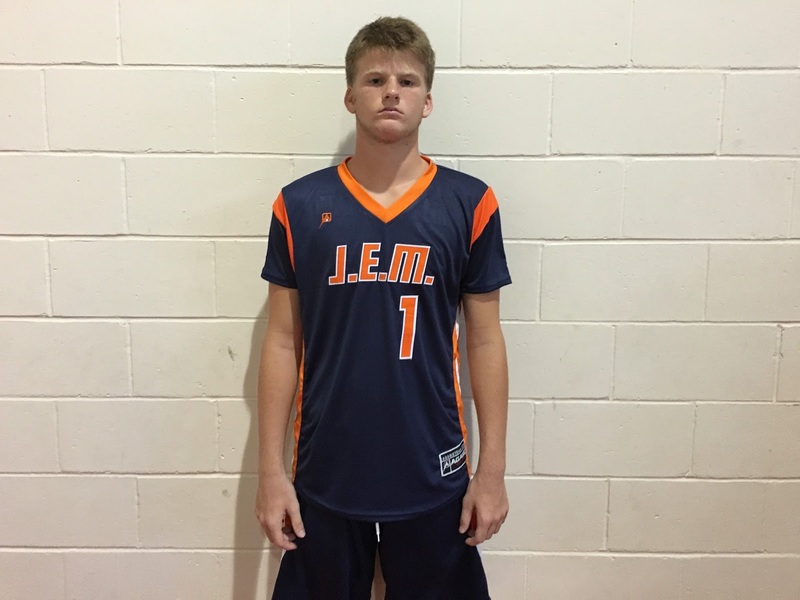 Lance Ware Spreads His Wings At J.E.M. All Star Classic! Lance Ware proved at the J.E.M. All Star Classic that he was one of the best forwards in the country. 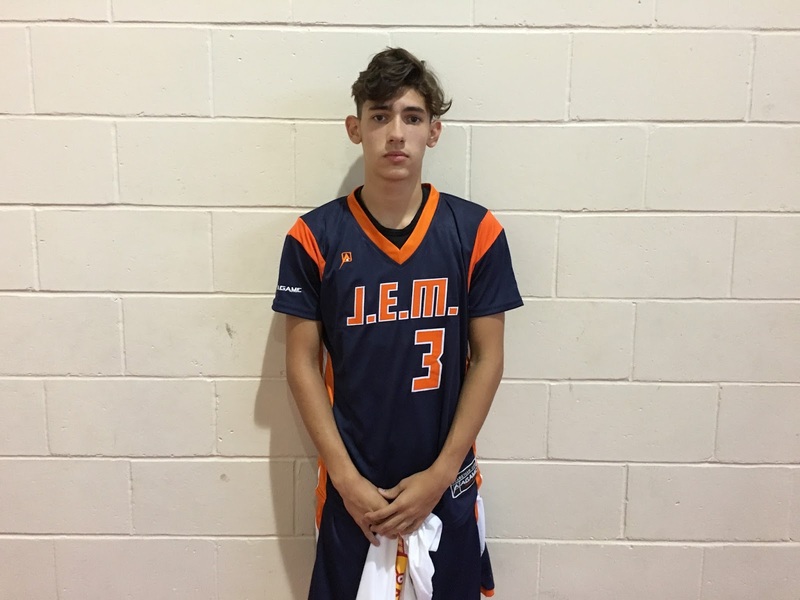 The rising frosh plays the game clean with a high motor and showed many intangibles that will translate great to the next level. Ware finished the game with 29 points and took home MVP honors. Basketball Spotlight would like to congratulate Lance but also remind him this is just the beginning and he should continue to work hard on and off the court. You will be able to check him out next season as he suits up for Life Center Academy. The Basketball Spotlight season has officially ended and we are ready to present our end of the year awards. We would like to congratulate all the players and teams that supported our events. The Award Winners are listed below. Toles stepped his game up this season and never took plays off at any Spotlight event. He also took his show on the road as he starred in several big time events around the country. Finally he turned his game from just being regarded as an athlete into an all-around skilled guard. His play on the court and spirit for the game helped him win the POY honors. Hoggard’s addition to the Team Final 8th Grade squad instantly took the team to the next level. He became one of the most dominant forces on the floor this season. His play catapulted his name among the top guards in the country. He had a memorable Spotlight career. TTO was the most dominant 8th Grade team in the country. They ran through every event in the country and didn’t lose a game on their grade level. There’s no doubt they were the #1 team in America and probably one of the best grammar school teams assembled. They were loaded and had balance. Stevens guided his squad throughout the country without losing a game on their grade level. Most importantly he taught them how the team concept is the best way to go. It’s not easy coaching a lot of talent but he seemed to hit all the right buttons at the right time. Hall played the game the way it was supposed to be played. He left everything on the floor and conducted himself in a great manner. I also appreciate him letting us into his life while contributing to Diary Of A Baller. Williams got busy on the court and in the classroom. He demonstrated this in the Spotlight events and on his Diary Of A Baller. We have no doubt with God’s grace Terrence will continue this success in high school and college. One of the best all-around kids to ever come though Basketball Spotlight. Everett had the ability to change the game on the defensive end. He blocked or altered shots in his area while also playing with an enormous motor. The scary part is his best basketball days are certainly ahead of him. Ware entered the season as a project but after seeing him at the J.E.M. All Star Classic he made great strides and has become the best prospect in the region. This means he had to be one of the hardest workers around which makes his future look very bright. The sky is the limit for this kid. Clarke was one of the most natural wings players I saw this season. This kid can get it done off the dribble or in catch and shoot mode. He also appears to have a huge upside and will be a name to know in the New England area. 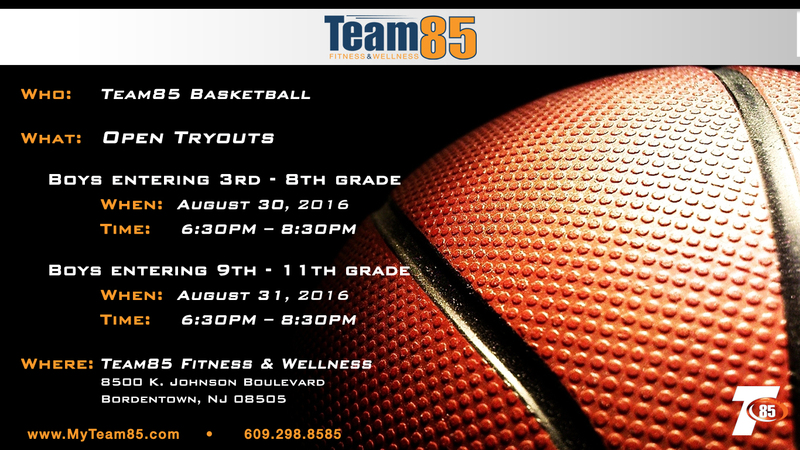 Team 85 will be hosting AAU Tryouts beginning August 30th. Check out the info below to come and tryout for this emerging organization. Basketball Spotlight Future Phenom Camp Nears Sellout! The 3rd Annual Basketball Spotlight Future Phenom Camp is nearing a sellout as there are less than 50 spots left. This year’s camp will once again feature some of the top players in America. When it comes to exposure no other camp in the country brings this kind of coverage. Make sure you register early because this event will sell out once again. Registration information is below. 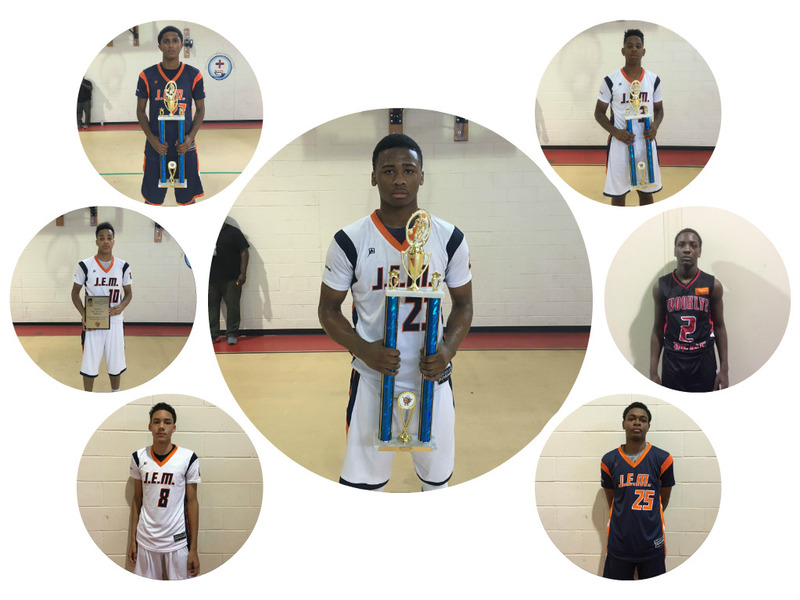 The South Team got the win in this high scoring affair and here are their top performers from the 7th Annual J.E.M. All Star Classic. Lance Ware Forward (Edgewater, NJ) – This 6’8 athletic forward was the MVP for the winning South team tallying 29 points. I saw Ware earlier this year in one of our tournaments and you can tell he has been working to improve his game because it was on full display. He plays hard and has a high motor. He scored dunking everything, rebounded, and blocked shots. Possibly the top prospect in the region and I believe he will be an impact player when he enters high school. 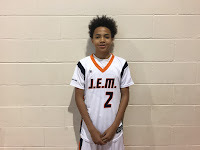 Lynn Greer III Guard (Marlton, NJ) – Greer is an athletic combo guard that definitely has the feel and IQ that can transition fully to the PG position. He has range out to the 3pt line and showed great playmaking ability attacking the basket and either finishing himself or dropping a dime to one of his teammates. He finished with 17 points. When all said and done I can see Greer being the top PG in the region. 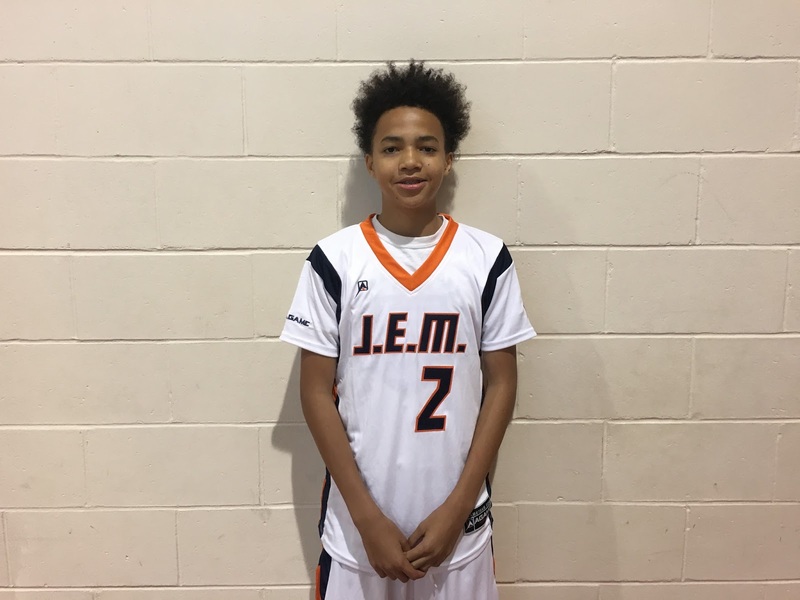 Tyler Brelsford Guard (Ellicott City, MD) – Tyler is a true PG with a high IQ that understands how to balance scoring and facilitating. Known as one of the better long range shooters in the region, his 3 point shot was off so he went to his mid-range and floater game. He finished with 13 points and also racked up close to double digit assists getting his teammates involved. He hit a mid-range jumper to seal the victory for the South. Terrance Williams Forward (Clinton, MD) – Williams has been a mainstay on the Spotlight circuit for years and this year he was one of the top players on the #1 team in the country. Big Smoove understands how to finish over and around longer more athletic players by using pump fakes and great footwork. You can tell he has been working on his perimeter skills as he looks more comfortable handling the ball and shooting the mid to long range jump shot. He finished with a game high 31 points for the winners. E.J. 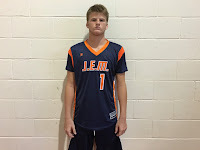 Evans Guard (Willingboro, NJ) – Evans is an aggressive wing guard that is wired to score and can do it from all three levels. He is at his best attacking the basket and in transition. At 6’5 he has great size already for the position. He finished with 13 points. I believe that Evans will be a name that will continue to rise as he enters high school. Mikah Johnson, Jr. Guard (Bound Brook, NJ) – Johnson is a long wing guard that is patient and lets the game come to him. He has the ability to be a lock down defender being able to guard the 3 perimeter positions. Mikah plays hard and rebounds well for his position. He finished with 10 points. The 3rd Annual Basketball Spotlight Future Phenom Camp kicks off in less than 4 weeks and a SELLOUT is expected again. 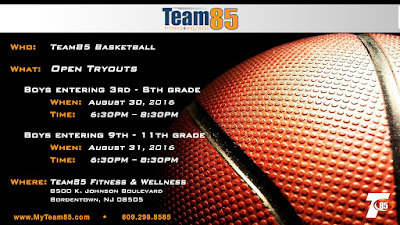 The camp is for Rising 3rd Grade/Class of 2026 through Rising 8th Grade/Class of 2021. The following is the general schedule for the camp. Major Media Outlets will be in attendance and the EXPOSURE will be unmatched. Check out the Media Archives from the last two years on the registration page. Don't wait to register as spots are filling up fast. The 3rd Annual Basketball Spotlight Future Phenom Camp is less than 4 weeks away and we expect a SELLOUT for the third year in a row. Spots are filling up fast so please register now as we don't want you to be left out. The Camp will take place Saturday August 27th and Sunday August 28th at The New 24 Fitness & Basketball 6417 Marlboro Pike District Heights, MD 20747. 1. www.bballspotlight.com - Basketball Spotlight is the #1 Grammar and Middle School Website in the Country as far as website traffic, amount of content, and accuracy of evaluation. The site has been around for a decade covering Future Phenoms before they step on a high school court. On top of that Founder Mike Melton has been in the game for 20 years. He covered High School Basketball prior to starting Basketball Spotlight. 2. Location (Washington, D.C.) - Having 3 major airports and in driving distance from many major metro areas D.C. is a prime location. The area has great night life for the parents and not to mention it is the Nations Capitol if you want to come in a few days early and check out the sites. The DMV is a talent rich area when it comes to basketball so many of those players will be in the building. 3. 10 Court Facility (Under 1 Roof) - The New 24 in District Heights, MD will host the Camp which boasts 10 courts under roof all with wood floors, glass backboards, and digital scoreboards. There is also plenty of parking. 4. MSAAG (Middle School All American Games) - Friday night at Pre-Registration at St. John's College High School the 3 MSAAG will be played for the Classes of 2023, 2022, 2021. The 72 players are highly rated players that will be attending the Future Phenom Camp. 5. 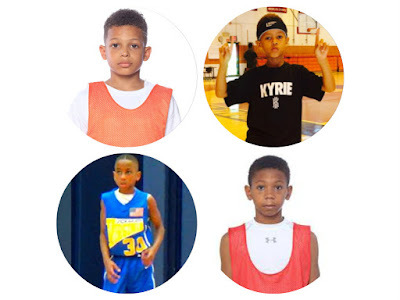 Younger Age Groups (Rising 3rd/2026 - Rising 5th/2024) - The Future Phenom Camp has the 3 younger age groups. Many camps only focus on the older Middle School players but Basketball Spotlight also promotes the Grammar School player. 6. The Most Media Coverage - The Future Phenom Camp has over 15 major media outlets that will be in attendance. You can see the archives for the last two year's camps pre and post event articles. No other Camp provides this much coverage. 7. Most Awards - The Future Phenom Camp gives out the most awards of any camp in the country. 8. Full Custom Uniforms - The Future Phenom Camp will provide full custom uniforms for the 3rd Annual Camp presented by AGame. Players love to wear the shorts after the camp. 9. Full Game Stats - Legit Sport Stats will provide full game stats of every camp game. They will be computerized and media and camp staff will be provided print outs during the camp. We will be looking at everything not just points. 10. Great Coaches - We have coaches that have high level experience either playing the game at the D1 or PRO level, Coaching the game at High School level or above, or as a High Level Skills Trainer. 7th Annual J.E.M. ALL STAR CLASSIC ROSTERS ARE SET! The 7th Annual J.E.M. ALL STAR CLASSIC is scheduled for August 13th in Ewing, NJ and roster is listed below. We would like to congratulate all the players selected and please make sure you are on time for the event.